There are thousands of homeless in Moscow living day to day, and with winter closing in their chief concern is how to get through the night. But with the help of renowned charity activist Dr. Liza, there will always be a helping hand. ­Backed only by volunteers and donations, Elizaveta Glinka, or Dr. Liza as she is fondly known, battles with a lack of financing and medical equipment to treat the city's poorest people. While Dr. Liza takes medical treatment to them, she takes away their stories and shares them with the internet masses. One of her main tasks is distributing food for the homeless, with hundreds lining up to get their daily ration. Recognizing a need, Dr. Liza regularly sets up a makeshift clinic and distribution center near Paveletskaya train station in central Moscow. 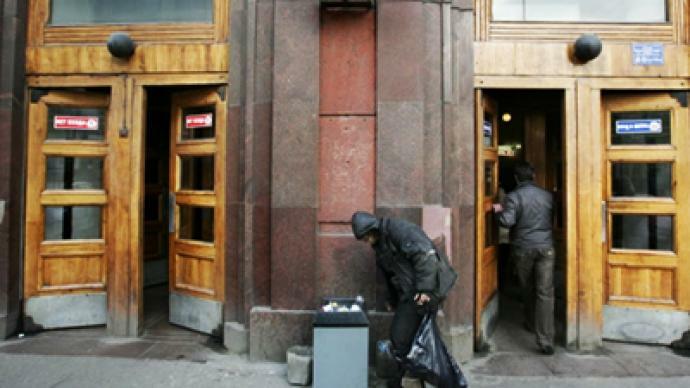 She has also started a blog to let people know the problems Moscow’s homeless face. Though she is facing a daunting task with limited resources, those who know her say their lives are better because of Dr. Liza’s influence. Dr. Liza’s fear is that politicians with the power to make real changes do not understand the problems. That is the dilemma that gives Dr. Liza the inspiration to continue to help – even if it is just one person at a time.